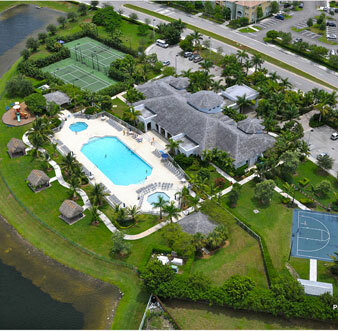 The Islands at Doral is the area’s largest community situated in northwest of the city. The residential area is composed various “islands”, designed after Mediterranean and Caribbean styles of homes and laid back living. Each island has its own particular style of, all surrounded by green spaces and lake views. Residents have access to all that Doral has to offer such as the Dolphin and Miami International Mall, parks, world-class golf courses, a wide variety of restaurants, and some of the highest rated schools in the state. With direct access to the Florida Turnpike through the 74th Street exit, which was completed last year, residents enjoy an easier commute and access to the city and Miami. 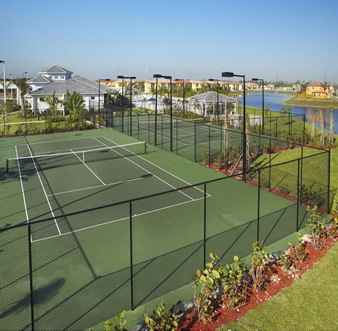 Islands at Doral is comprised of the following communities: Menorca, Santorini, Madeira, Polynesia, Antilles, Galapagos, Winward, Leeward, Netherlands, Corcica and Promenade. Homes for sale at Islands at Doral range from single family homes, condos, and townhouses in the high $100,000’s to luxury homes in the mid to high $800,000’s. Some of the most recent listings include a 4 bedroom, 3 bath, 1,901 square foot two story townhouse on 108th Place listed for $234,600. On NW 87th Street a 3 bedroom, 2 ½ bath, 1,595 square foot townhouse listed for $345,000. A 2,097 square foot single family home with 4 bedrooms and 3 baths on NW 86th Terrace listed for $530,000. A luxury single family home with 5 bedrooms, 4 baths, and 3,629 square feet listed for $799,000. For rent at Islands at Doral offer single family homes, condos, garden villas, and townhouses for rent. The rent for these units ranges from $1,750 to $3,900 a month, which makes these perfect for young professionals, young families, or retirees. Many retired residents split their time between Florida in the winter, and the North in the summer. A 4 bedroom, 3 bath single family home on 111th Avenue with 2,288 square feet rents for $2,800 a month. In the Menorca island division a spacious single family home with 3,110 square feet, 4 bedrooms and 4 baths rents for $3,300 a month. Another rental recently made available includes a fully furnished townhouse with 4 bedrooms, 2 ½ baths, and 1,869 square feet on NW 113th court for $3,900 a month. All of the residents in the Islands of Doral have access to the community’s spacious clubhouse complete with tropical gardens, meeting rooms, a party deck, and outdoor kitchen facilities for residents. Most of the island communities have their own pools and recreational areas along with use of the gym, full party kitchen, a meeting center, a children’s pool, heated pool, lighted tennis and basketball courts, and walking trails. 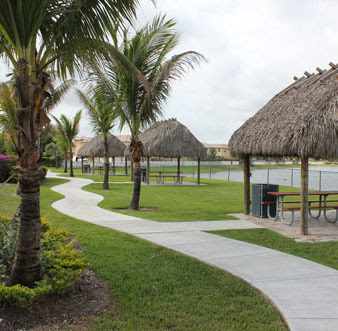 The homes and clubhouse all have beautiful views of the lakes and green areas in the community. The Islands at Doral embody the tropical feel and vibe that Miami is known for. With its location in the growing and vibrant city of Doral, it is one of the most sought after addresses in the area.